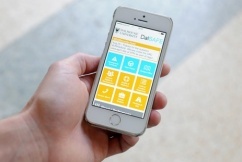 Healthy Dalhousie provides information about health-related services that serve to promote the well-being of faculty and staff at Dalhousie University. You can find health-related topics and general health tips. Students come to Dalhousie and King’s ready to learn but not always prepared for the mental and physical demands of university. Maintaining a healthy lifestyle through a period of change and challenge can be tough. While there are resources available to help students maintain their health, there are also resources available to faculty & staff. The new regulation for Missed or Late Academic Requirements due to Student Absence was approved by Dalhousie’s Senate on September 25, 2017 removing the need for medical sick notes for absences that result in missed or late academic requirements of three days or less. The accompanying Student Declaration of Absence Form and further instructions for faculty are now available. Faculty & staff have the option to raise their concerns to the Student Health & Wellness Team using our student referral form. Referrals to health & wellness team in Halifax are managed by Dalhousie’s Case Manager who will reach out to the student to determine next steps to ensure their health needs are met. Consultation to faculty and administrative staff on the best way of helping people affected by the incident. On-site support for people experiencing acute stress reactions. On-site support provides an immediate, less-formal type of debriefing, in which a psychologist goes to the site and talks with individuals or groups affected by the incident. It can help people cope with immediate effects. It also offers an opportunity for the psychologist to assess needs and to provide information about further services. Psychological first aid involves further on-site support beyond the initial contact, but soon after the critical incident. It is an evidence-informed modular approach to help reduce the initial distress and to foster short- and long-term adaptive functioning. Group debriefing sessions are an optional service provided by Counselling Services staff, upon request by the relevant department. Sessions are generally two hours in length. Participation is voluntary. It is intended to be only for people directly involved in the critical incident. Individual counselling for those who would benefit from services beyond immediate support or group debriefing. Normally the Centre provides individual counselling only to students of Dalhousie University and University of King's College. However we will provide brief counselling to staff and faculty following a traumatic incident on campus, and referral if further services are required. Email david.pilon@dal.ca and glenn.andrea@dal.ca to request a crisis event/emergency consultation service. The Blue Folder is available online at dal.ca/bluefolder and hard copies can be requested by emailing livewell@dal.ca (subject to availability). Students looking to access physical or mental health & wellness services at Dalhousie can go to the Student Health & Wellness Centre in the LeMarchant Building. With walk-in services and same day appointments available, the team includes: registered nurses, physicians, doctors, social workers, counsellors, and registered psychologists. Visit dal.ca/livewell to learn more. Students looking to access physical or mental health & wellness services at Dalhousie can access Health Services in the Dairy Building (Student Success Centre). Mental Health 101 is a short yet informative presentation developed for university faculty and staff to increase awareness and understanding of mental illness and mental health problems, thus increase your confidence in supporting students. This presentation is delivered jointly by the Director of Counselling, the Coordinator of the Stay Connected Mental Health Project, and a Dalhousie student representative. Mental Health 101 is presented twice a semester. You can see scheduled presentations on the Dalhousie Employee Learning Calendar. Dalhousie Student Affairs also offers student presentations from the Writing Centre, the Bissett Student Success Centre, and other departments. The presentation can also cover requested topics in more depth such as personal safety or making a student referral. At Dalhousie University, we believe that everyone deserves a living, working, and academic environment free of violence and harassment. It takes all of us to move towards a culture of consent on campus. The Purple Folder is available as a resource for responding when someone share an experience of Sexualized Violence. Dalhousie University supports responsible choices involving alcohol. We all have a responsibility regarding our consumption and to help minimize risk as a result of consumption. Learn about Dal's Alcohol Policy and tips on Alcohol Harm Reduction at www.dal.ca/alcoholsafety. Dalhousie offers a wide range of workshops & training for faculty & staff that can be found on the Employee Learning Calendar. Dalhousie offers an Employee & Family Assistance Program (EFAP) that offers immediate and confidential help for you and your family. Call 1-800-387-4765, or visit their online services at workhealthlife.com.